Editor’s Note: This is a guest post by a brilliant friend, republishing her insightful blog review of Pride & Prejudice (2005), right after it came to theaters. Feels like the very first time! I suppose that to be technical, the producers didn’t say that they were making “Pride and Prejudice.” They made “Pride & Prejudice,” with the ampersand representing a new, more relevant, more hip and urgent version of a book that *Has * Been * Popular * for, oh * About * 200 * Years. My overwhelming response to this movie can be summed up by the following: Pride & Prejudice — A Jane Austen-inspired product, now with more pig than ever before! You don’t remember there being a lot of pigs in the various plot turnings of P and P, you say? Me neither; nevertheless, the porcine element was definitely the overarching theme, one clearly overlooked by all previous adaptations, especially given its importance to the story. Much like Andrew Lloyd Webber writes musicals for people who hate musicals, this is a Pride & Prejudice for people who hate Jane Austen. So, rather than rant for two hours here, as I did on the telephone on Sunday to my friend T. , followed by another two hours reliving the horror with M., I will simply offer this list of rules for would-be adaptors of Austen. 1. If you hate the strict societal mores and manners of late 18th-century/early-19th century England, please do not make an adaptation of an Austen book. The books are societal commentary in all its sad and funny permutations. Elizabeth Bennett would no more have wandered the soggy, filthy fields in her nightrail (which she did numerous times, incidentally) than Darcy wander about open-shirted and disheveled (ditto). Lady Catherine de Bourgh would NOT have visited the Bennett house uninvited in the middle of the night (why yes, since you ask; she did), barging in on the family while they were dressed for bed. It wasn’t done. Your misguided attempts to make the characters more relevant only makes them look like characters from another story — not the one they are in. So, f*cking cut it out. 2. If you do not like the way the characters are drawn in the book, please do not make a film in which they star. I realize that Elizabeth Bennett is quite an excellent character name, but please. She is opinionated, not a shrew. She is outspoken, not an anti-establishment bohemian. And, just FYI, as a matter of fact, Fitzwilliam Darcy IS a snob and IS proud. He isn’t just shy and misunderstood and afraid of girls. (If that were the case, Elizabeth would have chewed him up and spit him out — or better yet, fed him to the PIGS!) Likewise, please observe the same respect for the rest of the inhabitants of this little world. 3. 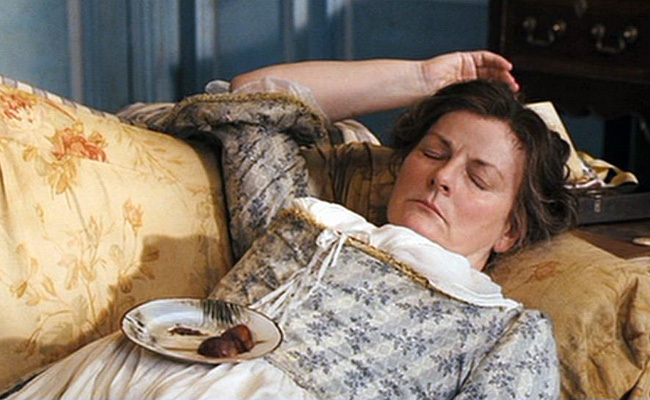 The scenes that Jane Austen wrote are pretty much more important that your own made-up scenes. And while I know that you are proud of these additions, evidenced by the fact that they remained in the movie while that pesky book-related dialogue hit the cutting room floor, I really must protest. While I certainly understand the necessity of combining or even creating a scene or two in the course of movie making, that is a device to be used sparingly and with great care. When in doubt, opt for more witty Jane Austen-composed dialogue than more pig. Those moments devoted to porcine testicular close-ups would have been better utilized in the development of any number of plot lines THAT ACTUALLY PERTAINED TO THE STORY, don’t you think? 4. If you don’t believe the characters in the book are pretty much like you and me, just living in a different time and place, please move along. Do not try to grind your personal axe on the their fictional heads, nor reinterpret characters based on your many years of psychoanalysis. Please keep your late 21st-century musings to yourself, and do not force Charlotte Lucas to shout: “And don’t you DARE judge me, Lizzie!” and run out of the scene in tears. It isn’t right. But please do not punish your characters (or audience, for that matter) by making Lizzie wear ill-fitting hopsacking and burlap (one in green, one brown). Or forcing Caroline Bingley to attend the Netherfield ball in a bridesmaid dress. Or characters who are really cash-poor gentry to dress like the poorest, dirtiest hard-scrabble share croppers. If you do not understand the definition of “gentry,” I would encourage you to look it up in the OED. Ready for a roll in that hay, judging by the clothes. Many hair and clothing violations. Some of them of a felonious nature. A shocking lack of hats and gloves. A shocking preponderance of men in open-necked and shirts sans vests and coats. Darcy included. A shocking preponderance of inappropriate visitations (of an extra-literary variety). 6. A heartfelt plea: If there is no bedroom scene written for characters in the book, please do not add one. The “pillow-talk” scene between Mr. and Mrs. Bennett made me want to gouge my eyes out with a spoon. Is there anything else worth saying? 1. The opening ball. It is, hands down, the best representation I have ever seen of a public dance of the period. It gets absolutely right how important and special music was to people without access to it on a daily basis, and the sheer joy of dancing to it. I would (almost) buy a ticket to this monstrous abomination just to see — and hear — this scene again. 2. Jane Bennett is finally pretty enough. This is the first time, to my recollection, that an actress cast as Jane is so delicate and beautiful that it makes sense that everyone speaks of her beauty and falls in love with her at first sight. Umm, I guess that’s it for what they got right. So, there it is, my public service for the year. I see these things so you don’t have to. But if you DO see it, just remember, you have been warned. Oh, and when the camera swoops in on the pig? Avert your eyes. This movie was so bad I could hardly get through it the one time I watched it, and you have perfectly expressed why — the director seems to hate everything about the actual story, characters, period, and so on. I kept trying to suspend irritation and look for the good bits, but this movie just wore me out with how impossible that was. The thing is, I would have forgiven this movie all its faults if it had gotten the early emotional content of the relationship between Elizabeth and Darcy correct, but it failed in a way that was so very off that it made me conclude, without knowing, that the director had to be a particular type of man, not a woman, with a particular type of extreme emotional cowardice. We wind up seeing a whiny-boy fantasy version instead of the actual story — we get shown Elizabeth as a sad version of Darcy would want her to be, not as she really is. The story just doesn’t work if the director isn’t willing to deal with the reality that for a significant chunk of time, in Elizabeth’s perspective, Darcy is a mildly annoying piece of background she only notices when she has to, while during that same period, Darcy is not only convincing himself he’s in love with her, he is building himself a stalker-fantasy that she is in love with him. I do agree with you about getting Jane pretty enough (in most movies I just assume that the current local taste prefers whoever is playing Jane Bennet or Jane Fairfax as the pinnacle of beauty), but I always thought the Greer Garson version did that as well — the actress who played Jane in that version had such exquisite features that she still looked just as beautiful in hairstyles that would make most beautiful women look ugly. On her they just looked pretty. Loved this! I feel like if you want to do a gritty reboot of Jane Austen, you should adapt something by one of the Bronte sisters, instead. Don’t make something that fans of the original material will hate, and that people who aren’t fans won’t even get. How did I miss this post the first time around? YES TO ALL OF THIS. Clearly Joe Wright does not understand — did he actually read the book? And Yes to Rosamund Pike as Jane, she is luminous and the first Jane that is actually prettier than Elizabeth. They did a good job casting Bingley also. And as much as I love Judi Dench, she’s much too old to be Lady Catherine. Tom Hollander, Donald Sutherland, and Brenda Blethyn are also the wrong ages. They’re all wonderful actors, just the wrong ages. Loved it, but totally ready to start a shitfight over your ranking of Rosamund Pike as #1 Jane, Susannah Harker is the most gorgeous Jane ever played; she perfectly fitted the standard of beauty and modest manner of the day. I wanted to look this movie, dearly I wanted – although Keira Knightley is Lizzy Bennet. But it was just too stupid. Mr. Bennet is a beggar (who has 1.000 Pounds per year!) 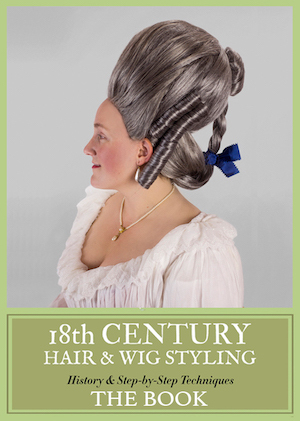 with a 1820s beard and 1770s clothes? All Girls are looking like models from the 2000s, no regency Gentleman would be seduced… And Keira Knightley on top of everything is playing a clever Girl of that period. Never!